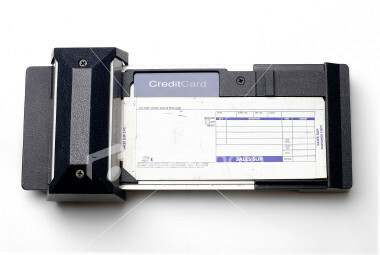 As the all-purpose credit cards like MasterCard and Visa became widely used in the 60’s, merchants routinely took a customer’s credit card, laid it on a mechanical or manual device to get an imprint of the embossed cards on a “Sales Draft”. The merchant kept one copy and the customer kept a copy. The merchant sent his copy to the bank with his daily deposit of cash and checks and the sales draft was treated the same as cash. You may have noticed that your new credit cards no longer are embossed (the raised numbers) because the technology is completely outdated. Today, we swipe cards, we insert chips into readers, we use Apply Pay, Google Pay and others in our digital wallets. We use online shopping carts, online banking or we establish an account with a merchant using Visa Secure on a one-time basis and we can order pizza from Domino’s at the speed of light without ever touching our wallet again. Chosen Payments serves many different industries and thus, we offer many different payment solutions because we understand the convenience needs and desires of the customers of our merchants must be met. Don’t disappoint your customers because you don’t offer the payment method they prefer to use. Having a website without a method to make a payment to you is a disservice to your customers and potentially a loss of business for you if not simply a delay in getting paid. Whether you want to set up a method for people to pay a specific invoice online or you want your walk-in customers to be able to use NFC payment methods, Chosen Payments can provide the exact solution your customers want. Did we lose you with NFC payments? That stands for Near Field Communications. Simply put, it means a payment is made simply by waving a cell phone in front of a credit card terminal that has NFC technology capable of accepting Apple Pay, Google Pay, Samsung Pay and Chase Pay. We can’t forget that many people like to use PayPal or Venmo to pay their bills. Are you set up to accept PayPal payments? You probably should be just to offer one more option for your customers. The name of the payment space technology game is – convenience. Meeting the needs of your customer means not only with the product and services you offer but how you accept payment from them.